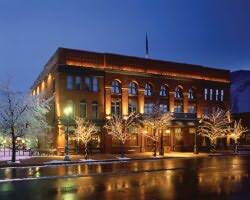 Tours de Sport's Blog: Hotel Jerome-Aspen- NOW Even more savings. Hotel Jerome-Aspen- NOW Even more savings. We want to get you to Aspen/Snowmass and we have teamed up with the luxury Hotel Jerome to offer you some Fantastic $avings! Hotel Jerome, Aspen's crown jewel since 1889 and National Historic Landmark,combines comfortably elegant accommodations and a sophisticated yet relaxedambiance. Located in the heart of Aspen-just steps from the town's numerousworld-class galleries, boutiques, restaurants and cafes-the AAA Four DiamondAward-winning hotel features 92 richly appointed guest rooms, severalcelebrated restaurants and bars, unsurpassed guest services, and access to avariety of outdoor activities. Favorites of locals and guests alike, thecelebrated J-Bar was recognized in USA TODAY'S "Top 10 List of Great Places toSee the Stars Come Out to Play"! Offer available on new reservations as of the effective date; this is not a retroactive change. Subject to availability and blackouts. Call an Aspen Ski or Ride Specialist at 888-754-2167 and let us help you plan that perfect Aspen getaway.